Clothes that are worn often should fit as well as possible so that we will be comfortable, be made of better material so that they last longer and function better, and should look great…because who doesn’t want to look great as often as possible? For a piece of clothing to satisfy all of these parameters it would have to be tailor-made. Since proper measurements and skilled labor are required for a good fit and proper construction, custom-fit, tailor-made clothing is typically quite expensive. It is no surprise that tailor-making is reserved for things like really nice suits or formal wear (tuxes, wedding gowns, and the like). Rarely would someone bother going to all that effort and expense for a fleece or Gore-tex jacket. However, we maintain that it actually makes sense to have something custom-made if one plans on wearng it often. And this can be be an economy – if it fits well and is made well, then a piece of clothing will be worn often and for a long time, no replacement needed. BeyondClothing, with the assistance of CAD-CAM tools and the reach of the Web, is able to bring the cost down to a point where custom-made outdoor wear is quite affordable. 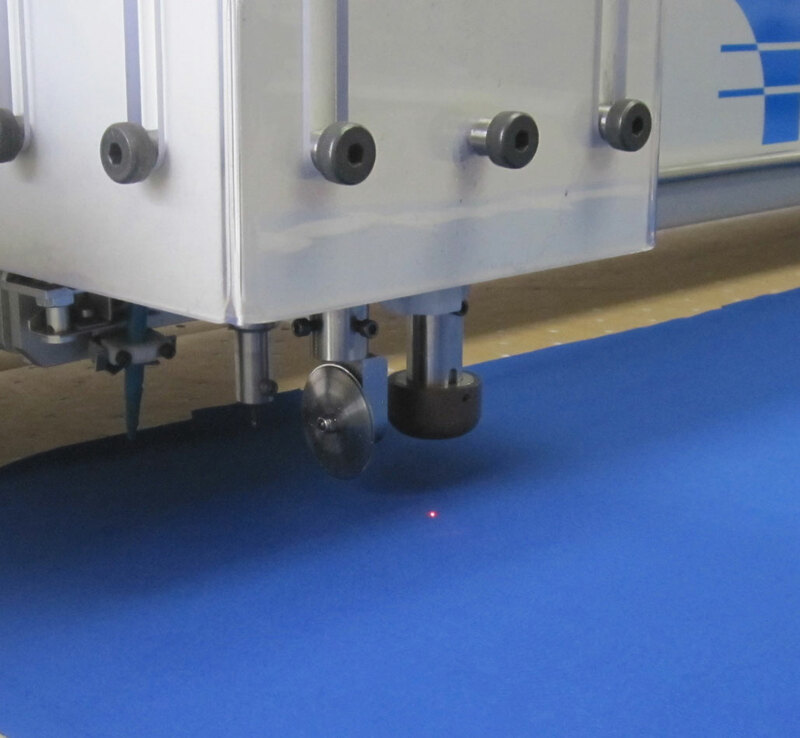 Using custom software and the latest in laser-guided technology (see their videos of embroidery and cutting), Beyond is able to offer a fit not possible with off-the-rack gear. 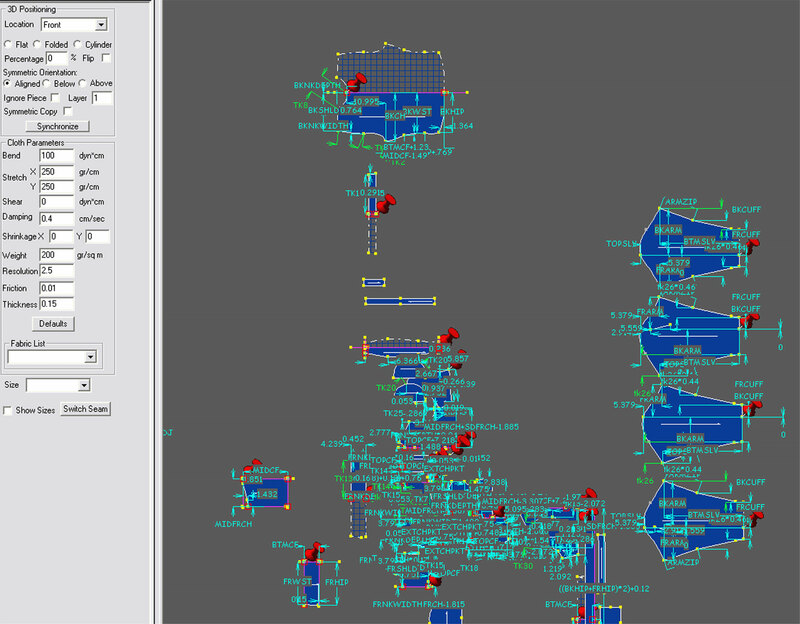 Granted, there’s a lot of questions to answer and measurements to provide when ordering, but sizing parameters are inter-dependent and having more info will enable the software to better optimize the fit. How and where to measure is clearly explained and very simple to do. 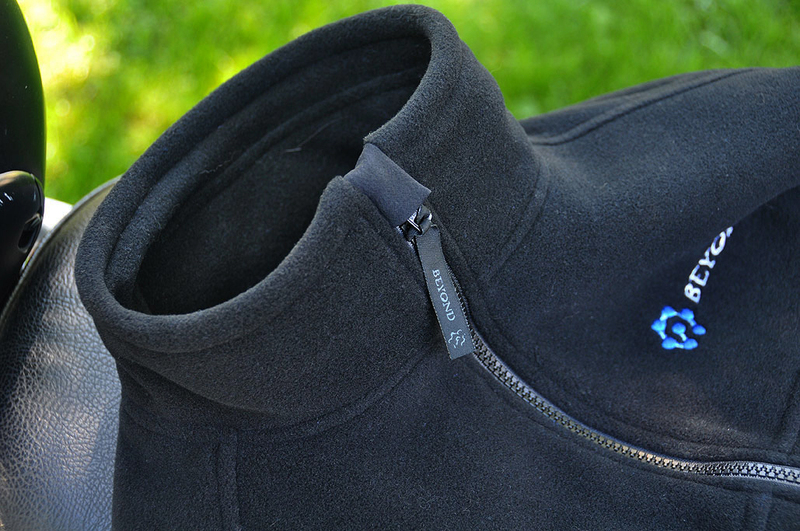 We reviewed the Olympus jacket from Beyond in 2006. Since we last looked, BeyondFleece has changed their name to BeyondClothing to reflect their new offerings. They have also built quite a reputation with climbers, hikers, and nature enthusiasts as the leader in custom outdoor apparel. Since it is May in Boston, the early morning temperature can be 30-40º cooler than the forecast for the day. Readers may be interested to learn that Beyond is the official manufacturer and supplier of U.S. Special Operations forces Custom PCU Cold Weather Layering system. 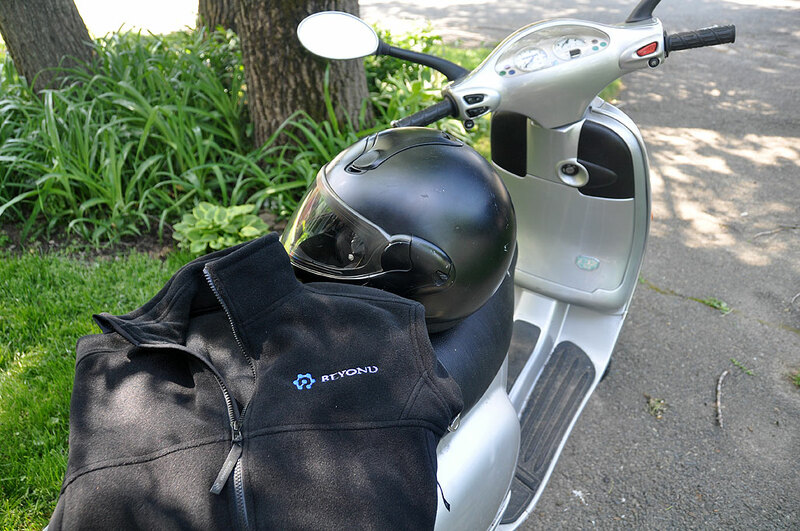 Given that that’s the case, we are confident that Beyond has a jacket which would work well for keeping out the chill during our early morning Vespa rides. We took a look and thought the Cold Blooded X Jacket would be a good candidate. The X Jacket has two fleece layers: an inner fleece that wicks, an outer fleece that is water resistant, sandwiching a 100% wind-proof middle membrane. According to Beyond, it is also the warmest fleece on the market. We drew straws to see whose measurementswe would use for the jacket. Hmm, our managing editor is always very lucky in these office lotteries… Anyway, the site walked us through their five customization steps(color, pockets, enhancements, embroidery, measurements) and the jacket showed up a few weeks later. It was easy to see the quality and attention to detail on this Beyond jacket. The workmanship was excellent and the materials used were top grade. We ordered a lot of options with our first Beyond jacket, but for this one we kept it simple with just two side pockets. The embroidered logo was very crisp, and there were well-finished seams and high-quality stitching throughout the jacket. Where the jacket truly shines was its excellent fit. The shoulders and chest were comfortable, but not loose. The sleeve length was exactly where we wanted it. We also appreciated the high collar which covered what the helmet did not. 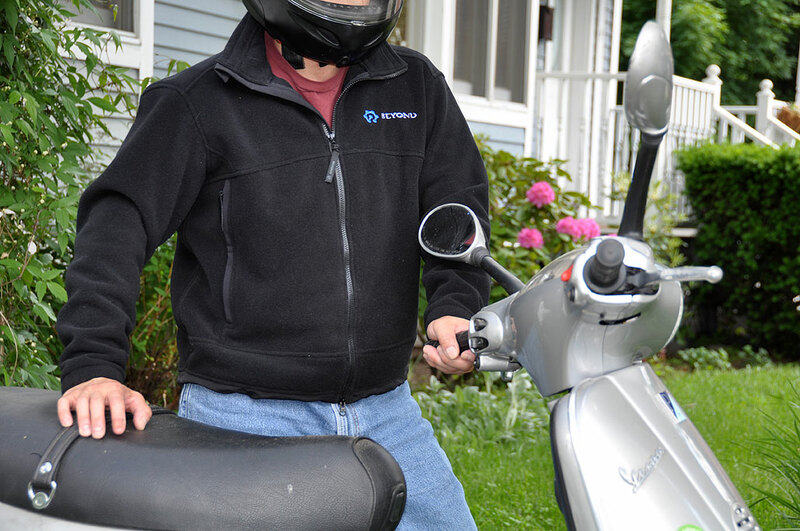 We ordered the jacket a little shorter so that it would fit better in a sitting position (i.e., when riding the Vespa). The two-way zipper made it easy for the front of the jacket to lay flat, which keeps the cold air from getting underneath. The sleeve length was perfect, long enough without riding down to the palm and interferring with working the throttle or brake levers. Riding a Vespa for short trips into the village makes so much more sense than driving a car. With the Vespa, we get about 70-80 mpg, don’t have to worry about finding parking, and even at a top speed of 35 mph, can get around faster because we can ride around the traffic instead of waiting in it. Having the Cold Blooded X Jacket just means we will be more comfortable while doing it. Besides getting a great jacket from Beyond, the shipment came with a few stickers, which we were happy to add to our collection on the Vespa. High-tech fabric, machine-washable, Made in NYC!! !